BANFF, ALBERTA, Canada – Whitewater river rafting in the Canadian Rockies offers the thrill of a lifetime. We provide outstanding Kananaskis whitewater rafting, Banff rafting, Jasper rafting, and other Alberta white water rafting tours at competitive prices. Sign up for our Canadian Rockies rafting experience today! Book Your Elbow Valley Mountain Biking Adventure in the Canadian Rockies Now! 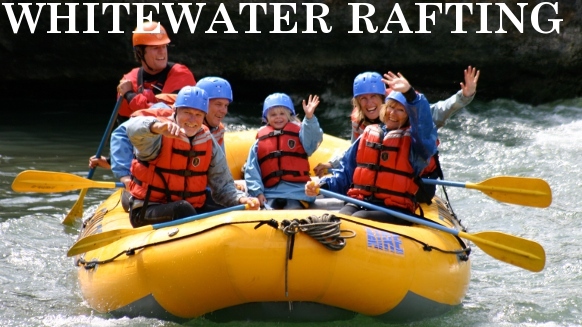 A whitewater rafting tour that has something to offer every type of adventurer. While ideal for first time rafters and families, the Kananaskis River has enough thrills for even a seasoned whitewater thrill seeker. The river is equally accessible from Banff, Canmore, Calgary and Edmonton, winding its way through the beautiful Kananaskis country. You will spend approximately 2 hours surfing, paddling and, if you feel brave enough swimming in this glacial fed river! Our experienced guides share with you information about the history, flora, fauna and geography of this unique part of the Canadian Rocky Mountains. We provide you with everything you need to enjoy unforgettable Alberta white water rafting with some of the best guides in the industry. Check out the Banff Rafting Association and Jasper Rafting Guide for more Canadian Rockies rafting information! Watch this this awesome video from Inside out Experience!